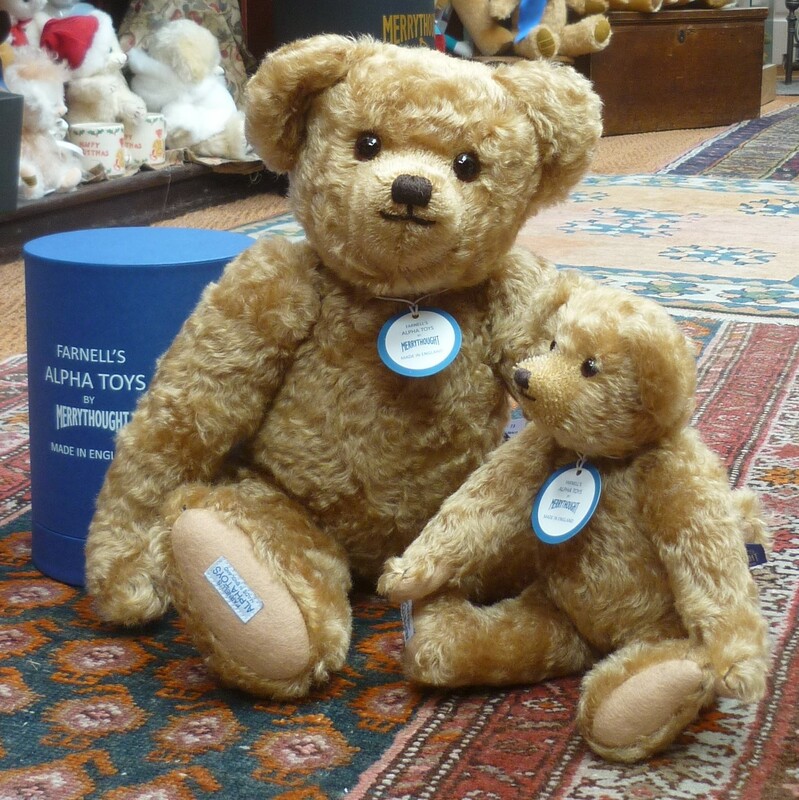 Similar to our Witney Exclusive ‘Billy’, Edward is a replica of the teddy bear who inspired AA Milne’s Winnie the Pooh stories. 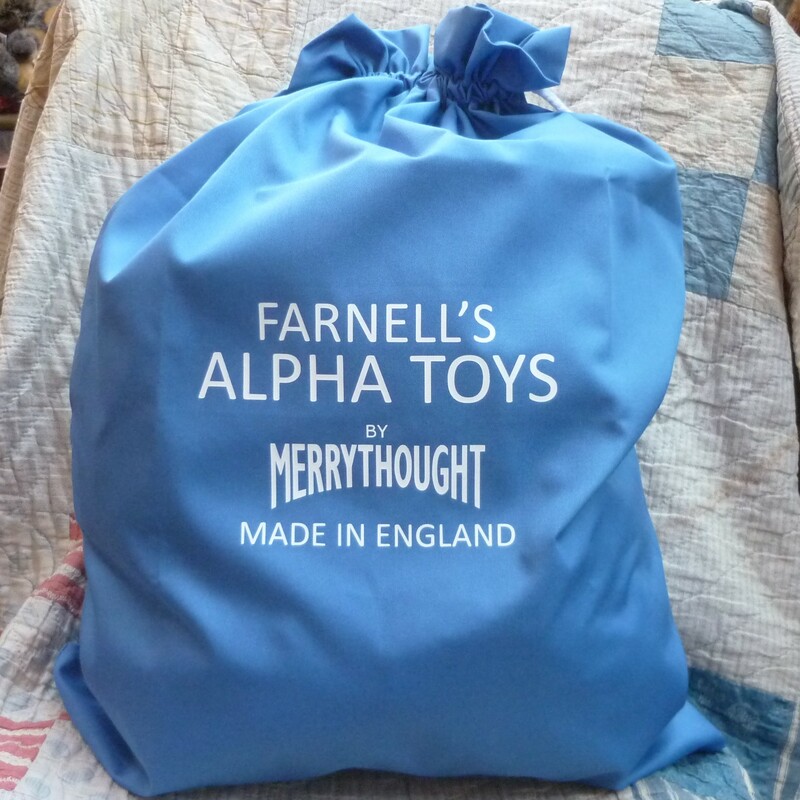 Originally created by Farnell in 1921, Edward is brought to life again by Merrythought as the star of the film ‘Goodbye Christopher Robin’. 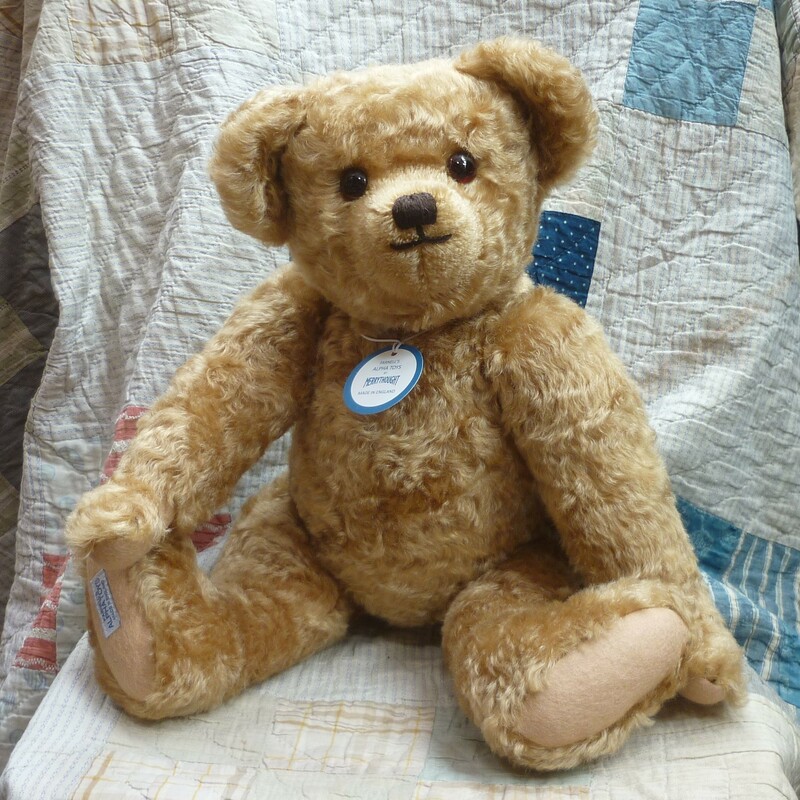 This handsome chap is made of antique gold mohair with sandy-beige felt paws. 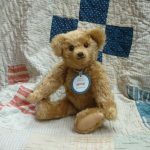 He has deep amber and black eyes and a hand-embroidered nose and friendly smile, giving him a quintessential charm that can only be found in a teddy bear of such timeless design and heritage. 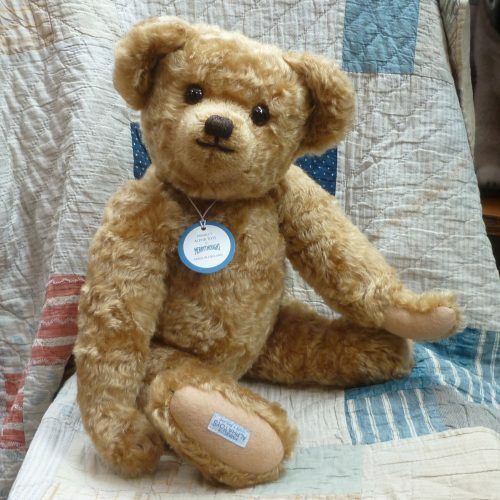 Made in a special edition and presented with a blue drawstring bag, each bear is numbered.